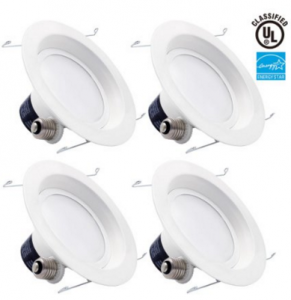 Amazon has this 4-Pack of TORCHSTAR 18w 6inch LED Retrofit Recessed Lighting Fixtures for just $54.77 (reg. $74.99)!!! This is a great way to help cut that electric bill down a bit especially if you have a busy home where lights are constantly on. FREE Two-Day Shipping is available with Amazon Prime.